After prostrating to my Nadi Guru Shri R.G.Rao, Acharya Madhva, my Kula Devatha and my Ishta Devatha,I am going to delineate a new method of predicting marriage as per Nadi Astrology. We all know that marriages are made in heaven but some marriages are auspicious or happy marriages and some have difficult marriage life. Traditional Astrology uses Lagna based predictions. 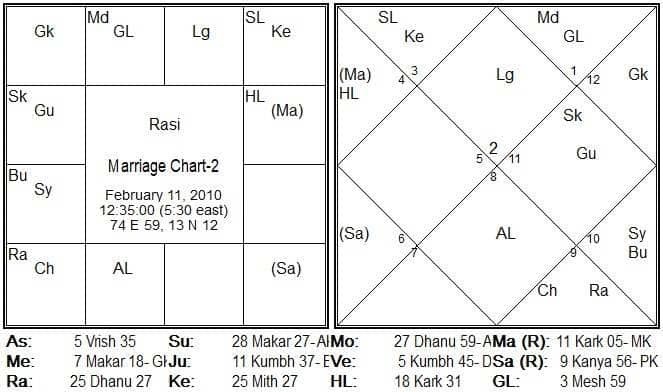 Here normally we consider 7th house from Lagna, its lord,2nd house and its lord and 11th house and its lord are considered along with Karaka of marriage, Shukra/Venus. But in Nadi Astrology, Guru/Jupiter is the karaka of Jeeva and indicates male natives. In female natives, Shukra/Venus is Stree/female Karaka but Jeeva Karaka remains the same ie., Guru/Jupiter. Already there is double transit theory of Guru/Jupiter and Shani/Saturn is famous and we can agree with this Sutra as an almost accurate method to predict a marriage. Now let us know one thing is that Astrology is basically Indian whether it is traditional or Nadi Astrology. So now let us see the term Marriage. What is Marriage? It is a Karmic bond between a male and a female as agreed by the parents and relatives of both parties. Then the marriage engagement will be performed where the exact date of marriage will be fixed by the family priest/Astrologer. Now next is on the marriage day, the bridegroom will tie what is called as Mangala Sutra to Bride. Now, what is this Mangala Sutra? As per our Shastras, Mangala Sutra is a Holi thread immersed in turmeric powder solution which is tied with a piece of turmeric.So this will be tied by the bridegroom to the bride’s neck. In modern days the Mangala Sutra is made up of small black beats with golden Tali ( 2 in numbers ). Anyhow, let us come to the point that what is Mangala Sutra. It has a holy thread and a turmeric piece.The Karaka for Holy thread is Ketu and the Karaka for turmeric is Guru/Jupiter. This is because marriage is a spiritual event where Vedic Mantras are chanted followed by Havan. In the marriage after tieing the Mangala Sutra, both the bride and bridegroom have to walk 7 steps as advised by the priest which is called as Saptapadi. Now, who is the Karaka for this event? Again, Ketu. 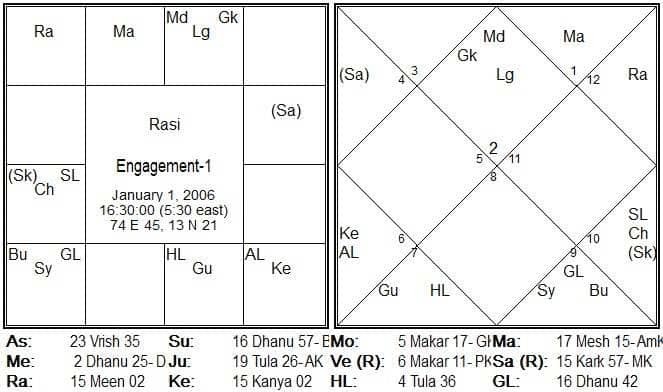 So the marriage will take place when transit Guru, Shani and Ketu transiting or aspecting natal Guru/Shukra and in a female chart, Kuja/Mars as he is Pati Karaka. So it is very clear that marriage event will not happen without the Blessings of Ketu. Sometimes transit Ketu will be in a Rashi whose Lord is connected to Karaka of Patni or Karaka of Pati ie., Shukra or Kuja. Sometimes on the marriage engagement day, the above said planets confirm the marriage. This is the chart of a male who got engaged on 1/1/2006. For the marriage to take place as per Nadi Astrology, transit Shani must be linked to Patni Karaka Shukra 1st, then transit Guru must be on natal Shukra or its trines. Finally transit Ketu must have a link to natal Shukra. 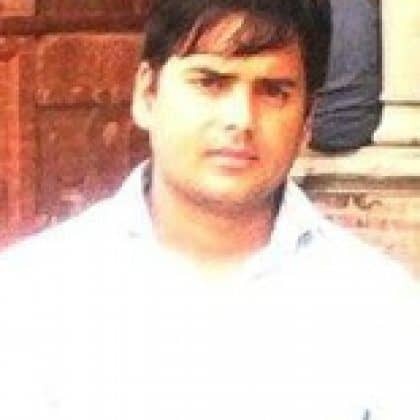 This male native’s marriage engagement took place on 1/1/2006 at 16-30 Hrs. Now let us see the planetary transits on this day. Here transit Shani was in Karka Rashi but retrograde, so it must be considered from Mithuna Rashi also. So this Shani from Mithuna Rashi is in trine to natal Shukra in Tula Rashi. Next transit Guru was in Tula Rashi transiting over natal Shukra. Finally, transit Ketu was in Kanya Rashi which is in Kendra to Retrograde Shani whom we are considering from Mithuna Rashi. When this is the case, both Shani and Ketu are to be considered as in conjunction as per Nandi Nadi principles. Thus all the requirements for marriage were set. In a female chart, for the purposes of marriage, we have to consider Kuja or Mangal. 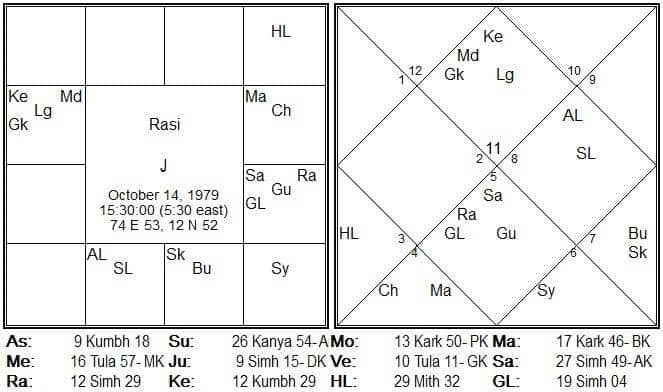 So in this chart, Kuja is placed in Dhanu Rashi. Her Jiva Karaka Guru is in Vrischika Rashi. In her chart, Shani, the Karma Karaka is exalted in Tula Rashi. Marriage is also a past life Karma. Transit Guru was transiting over Tula Rashi, hence over-exalted Shani. This transit Guru was also aspecting her natal Chandra indicating after the marriage she will move to a different place. Now transit Shani as it was retrograde in Karka Rashi will be considered from Mithuna Rashi also. So this retrograde Shani from Mithuna Rashi was directly aspecting Pati Karaka Kuja in Dhanu Rashi. Transit Guru in Tula Rashi was in 11th from Pati Karaka Kuja. Finally transit Ketu was in Kanya Rashi which was in Kendra to both transit retrograde Shani and Pati Karaka Kuja in Dhanu Rashi. So all the planetary arrangements were perfect for marriage. 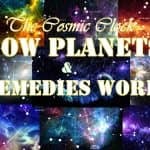 The planetary configurations on the marriage engagement day were indicating the marriage will take place soon. So the marriage took place on 10/5/2006. In the marriage chart, transit Shani was in Kendra to Patni Karaka Shukra of the male chart, Guru was retrograde and was transiting over natal Shukra and transit Ketu was in Kanya Rashi whose sign dispositor Budha is with Patni Karaka Shukra in the male chart, thus satisfying all the conditions for the marriage. 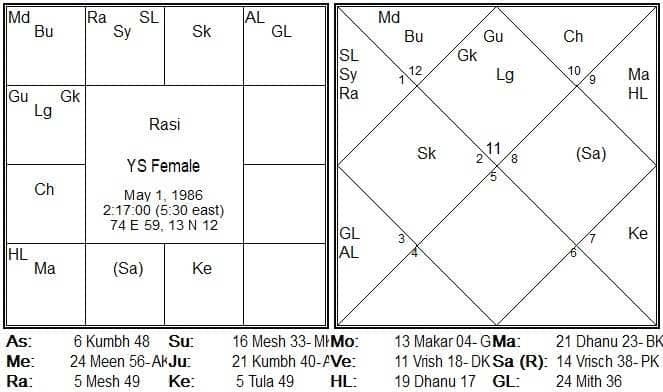 When we consider female chart 2), transit Shani was in Karka Rashi whose powerful Kendra is in Mesha Rashi and the female chart’s Pati Karaka Kuja has a trinal aspect on Mesha Rashi. transit Guru ( retrograde ) was in 11th to Pati Karaka Kuja and transit Ketu was in Kendra to Kuja, thus satisfying all the conditions of marriage. Let me take another 2 charts. 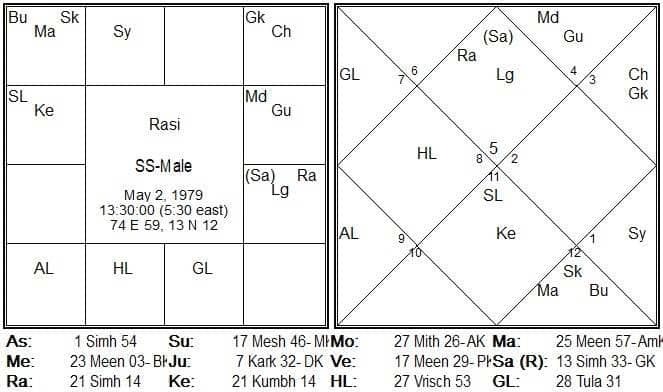 In this male chart, Jiva Karaka Guru is exalted in Karka Rashi and Patni Karaka Shukra is exalted in Meena Rashi with Budha and Kuja. This trinal linking of Shukra with Guru indicates the marriage is promised. 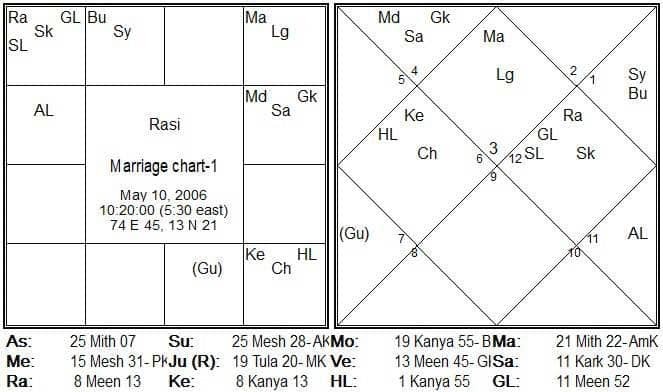 In this chart,Jiva Karaka Guru is in Kumbha Rashi and 11th from him is Pati Karaka Kuja in Dhanu Rashi ruled by Guru.So the marriage is promised to this female native. Now let us see the planetary arrangements on the day of marriage. 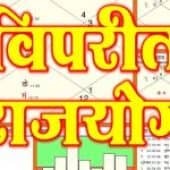 Now considering the above transit chart in the case of male chart 5), transit Shani was retrograde in Kanya Rashi aspecting his natal Patni Karaka Shukra in Meena Rashi. Transit Guru was in Kumbha Rashi whose sign Lord Shani is in Simha Rashi ( Retrograde ). 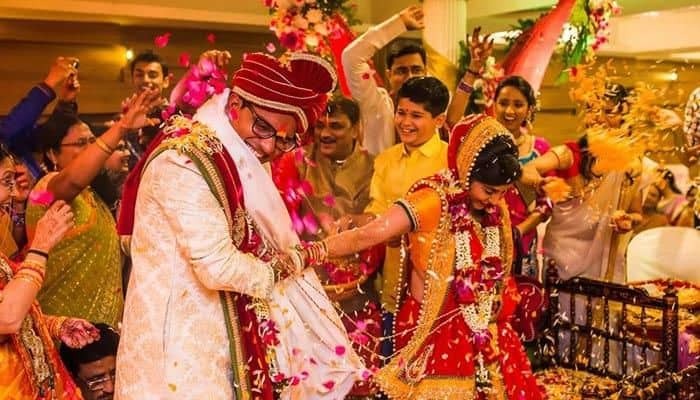 So considering this from previous house Karka Rashi,it is in trine to natal Patni Karaka Shukra.Finally, transit Ketu was in Mithuna Rashi which was in Kendra to natal Patni Karaka Shukra, thus satisfying all the conditions for the marriage. Now let us consider the same transit chart for the female chart 6). Here transit Shani ( Retrograde ) in Kanya Rashi is in Kendra to Pati Karaka Kuja who is in Dhanu Rashi. Transit Guru in Kumbha was in 3rd from Pati Karaka Kuja in Dhanu Rashi whose Lord Guru is also in Kumbha Rashi. 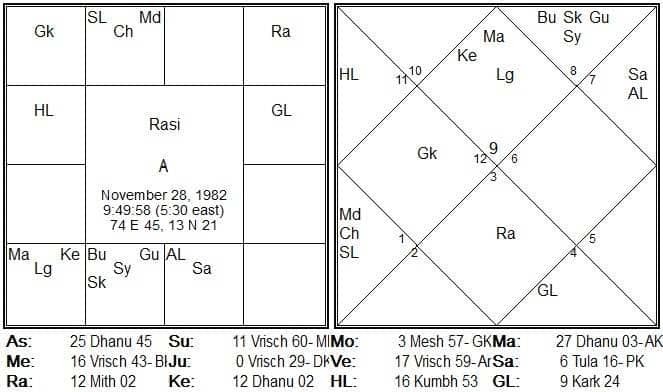 This means Pati Karaka Kuja’s sign Lord Guru is in Kumbha Rashi in her natal Chart and transit Guru was transiting over this Guru.Finally, transit Ketu which was in Mithuna Rashi was aspecting directly Pati Karaka Kuja in her natal chart, thus confirming all the conditions for the marriage. 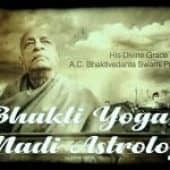 Thus we can analyse or predict the marriage of a male native through the Patni Karaka Shukra and in female chart through Pati Karaka Kuja and the transits of Shani, Guru and Ketu linking to the said planets or their sign dispositors. 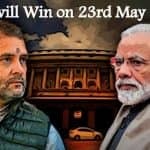 I have born in a traditional Madhva Brahmin family and I belong to Udupi Sode Mutt ( One of the 8 mutts in Udupi to make Poojas to Lord Krishna ).From my age of 12-13 years,I developed interest in Palmistry and at the age of 23-24,I learnt Palmistry from one of my friend who learnt Palmistry from a Kerala Guru.Then in 1983,suddenly I got interest in Jyotish Shastra.So I got the Blessings of Mantralaya Shri Raghavendra Swami Ji and I started learning Astrology.After that It did not stop.In 1990,I got a spiritual Guru,Shri Sripathy Achar from Ambalapadi,Udupi who initiated me a Devi Mantra and in 1992,the Sadhana got completed.After that I learned myself more in Parashari Astrology and then in 2001,I started learning Jaimini Astrology and in 2001,Nadi Astrology from Shri R.G.Rao.Now I am doing consultations mostly in Nadi Astrology. I have written articles in Jyotish Digest somewhere in 2004,2005 etc.I also wrote an article to Express Star Teller Magazine. ( Of course,I am not keeping any notes when actually these articles are published. 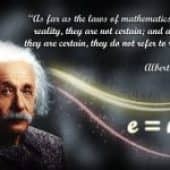 In my FB page, I have written mostly Nadi based articles and a research article based on Nadi Astrology.I have a lot of clients from all over the world and also from many parts of India.